Xiaomi claims to have deeply integrated Mi Pay within MIUI and can be used to send money directly to bank accounts from the SMS, Contacts and Scanner apps, and will be available for download from Mi App Store. Three months after the beta launch, Xiaomi has officially rolled out its UPI-based Mi Pay service in India. Using Mi Pay, consumers can effectively make payments using UPI and other debit cards, credit cards and internet banking across 120-plus banks and over 120 billers. 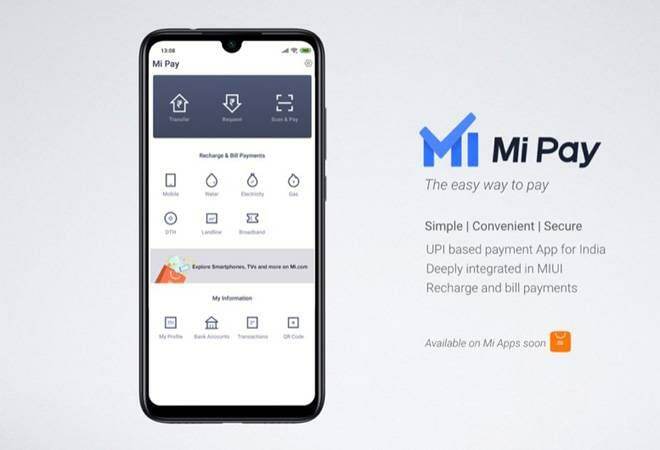 Claiming Mi Pay app to be a one-stop solution to all payment needs, the app allows users to make utility payments ranging from phone bills, phone recharge, water and electricity bills. With a lot of concern about data security, all Mi Pay data will be stored only in India in highly secure servers. Mi Pay has been approved by NPCI under the multi-bank API model and audited by CERT-IN empanelled auditors E&Y and Lucideus. Xiaomi claims to have deeply integrated Mi Pay within MIUI and can be used to send money directly to bank accounts from the SMS, Contacts and Scanner apps, and will be available for download from Mi App Store. Xiaomi users will be able to use their existing Mi ID for signing up for Mi Pay account. Along with Mi Pay, Xiaomi has launched the Redmi Go with Android Oreo Go edition for Rs 4,499. The Chinese technology giant has also announced its seventh manufacturing plant in the country in partnership with Flex. This plant will not just be used for assembling smartphones but will be used for PCB manufacturing as well. The company has over 20,000 people working across the seven manufacturing plans, of which 95 per cent are women. Xiaomi has increased its smartphone manufacturing capacity to three phones per second during the operational hours of the factory. More than 65 per cent of the value of the phone manufactured in India is sourced locally.